Introduction: Die casting is a widespread non-expendable technique the which metal are forced into the mold cavity under high pressure. Die casting mold that are known as dies can be used repeatedly to produce castings in a variety of sizes, shapes and wall thickness. The mold cavities are designed with intricate designs that enables in producing complex shapes with accuracy,surface finish and attractiveness. Today, the die casting process is constantly getting refined by improving the alloys and the casting process. History: In the early days of die casting only low-pressure injection method was used, but today high-pressure casting techniques like squeeze casting and semi-solid die casting methods are use to cast more than 4500 pounds per square inch. Initially, only tin and lead were die caste, but now magnesium, copper and other alloys are also to cast using this highly popular process. The molten metal is injected into the die under high pressure and high speed, which helps in producing a casting that is smooth and precise as the original mold. The pressure is maintained on the mold until the hot metal solidifies. When the metal is hardened, the die is opened to remove the casting. 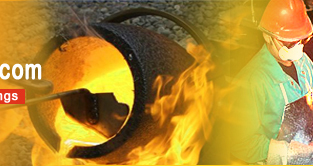 Squeeze casting - A method by which molten alloy is cast without turbulence and gas entrapment at high pressure to yield high quality, dense, heat treatable components. Semi-solid molding - A procedure where semi-solid metal billets are cast to provide dense, heat treatable castings with low porosity. Automation: In modern day, sophisticated die casting machines are used that ensures consistent quality control. 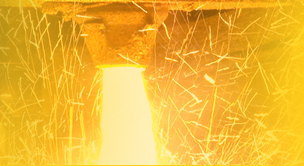 Every machined die casting differs in the method in which molten meal is poured into the die. Automations are used to lubricate dies, pour the metal into the chamber, etc. Two processes called the hot chamber and the cold chamber methods are used for die casting. Die casting is most suitable for casting medium sized parts with complex details. Die-casting is the largest casting technique that is used to manufacture consumer, commercial and industrial products like automobiles, toys, parts of sink faucet, connector housing, gears, etc. Most die castings are done from non-ferrous metals like aluminum, magnesium, etc. Mold can be use repeatedly.